Check out this amazing Greek wedding at Glen Sanders Mansion!! Congratulations Stavroula & Zach, what a fun day we had capturing your wedding. I’ve only had the privilege of doing a few Greek weddings before – and this one did not disappoint. It was a huge party, with a ton of emotion, laughs, people throwing money, and drinking from the floor with their hands behind their back. What? You don’t do that at the weddings you go to? 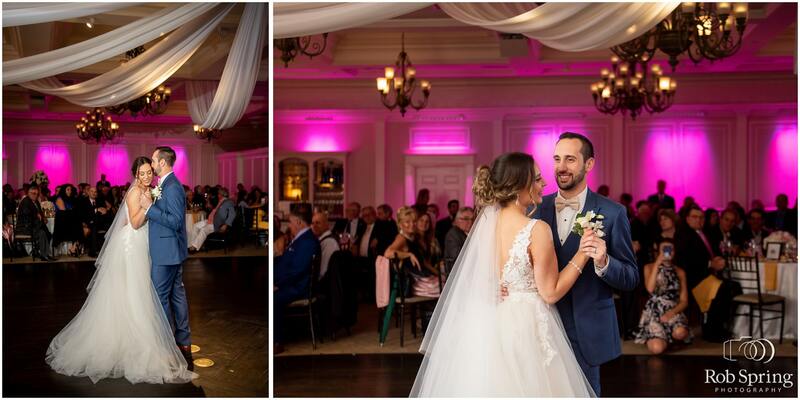 Stavroula & Zach – I hope you had as much fun on the wedding day as we did. And make sure you scroll to the bottom to see their wedding trailer as well! Here’s to many more years of health and happiness together!! Congratulations! What our Bride has to say . . . Rob Spring and the whole Rob Spring Photography team are absolutely amazing! I met Rob at a wedding expo in Albany and I was immediately drawn to his booth. He was so pleasant and excited you could tell that he was so passionate about his job. I remember leaving the expo with my mom, mother in law and sisters in love with RSP and his work. We also booked the video option through RSP and Mitch was just as awesome as Rob. They went above and beyond to meet all of our needs and desires! Throughout the day they were so enthusiastic and great to work with and we never felt awkward being in front of the camera. They made it so much fun for us as well as our guests. Everybody is still talking about RSP and how great they were. We had a blast working with Rob Spring and the whole team, they are all so amazing and made the whole process seem so easy even though they were surrounded by 230 Greeks haha! My husband and I could not had a better photography team to capture our wedding day! Thank you so much for everything! Our pictures are so beautiful! We can’t wait to see our video but from the trailer it looks just as beautiful! if you are looking for a wedding photography team, don’t look anywhere else but RSP!